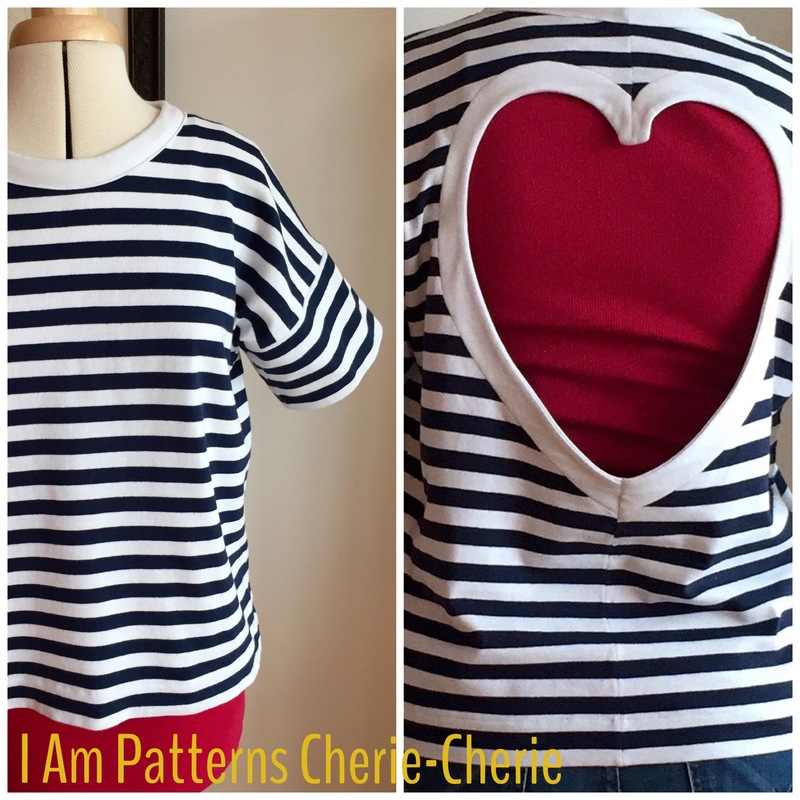 This is the Cherie-Cherie top from I Am Patterns. 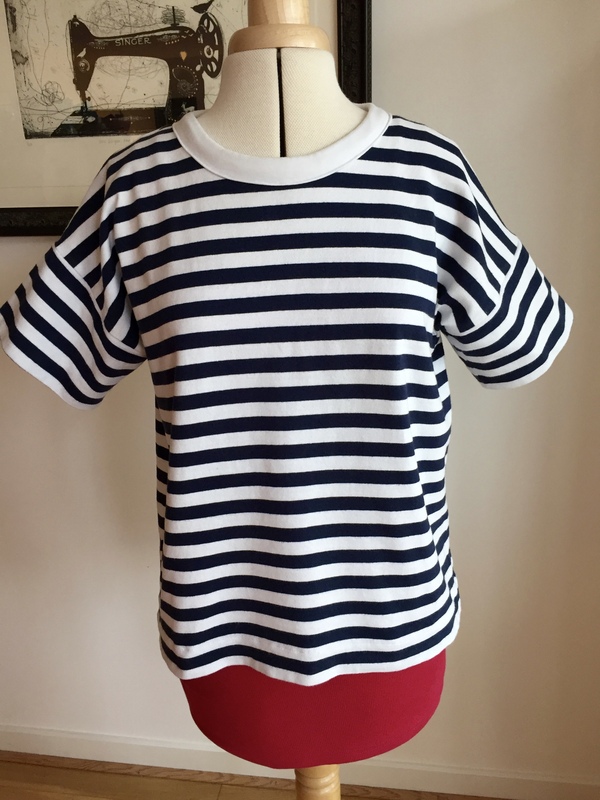 This is the second pattern I’ve used from this French company. I’ve also made broderie-anglaise and rayon versions of their Pan top and a cocoon version of the Apollon sweatshirt dress. 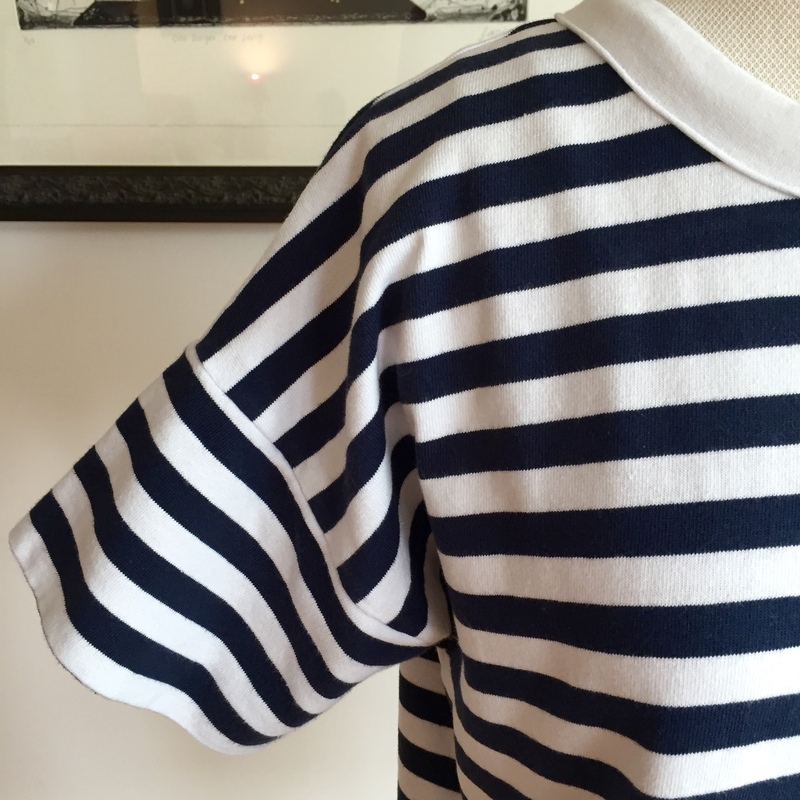 The fabric is a really lovely heavy cotton jersey bought on a visit to the The Cloth House in London with a white sweatshirting for the heart and neckband. I made a few adjustments to it based on my experience with the Pan tops. 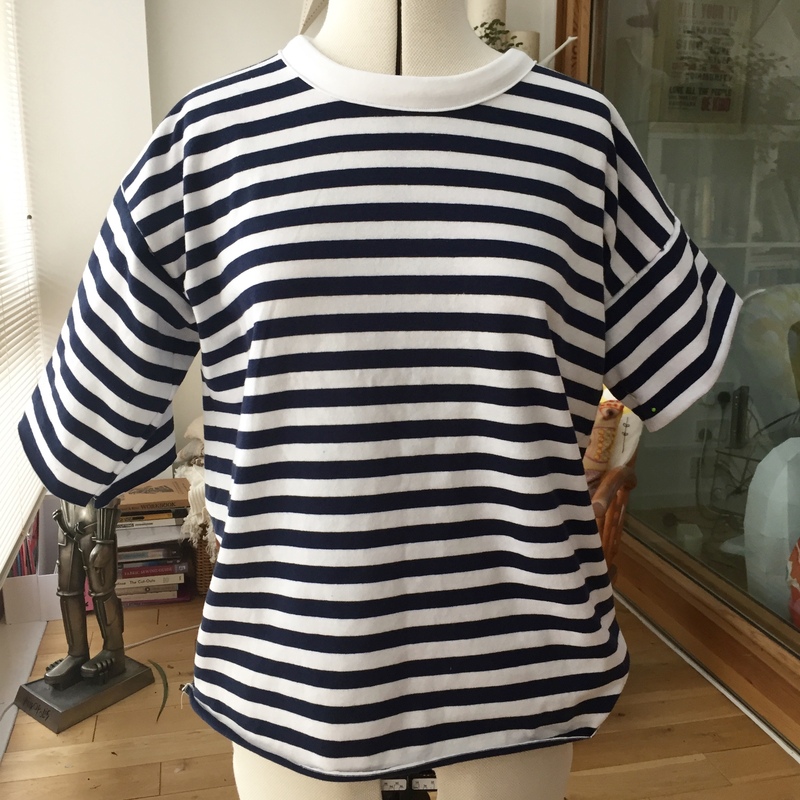 There’s a lot of ease built into this pattern which is great because it gives lots of fit options so I made this up in the 36 although based on my bust measurement I would have been a 40.
added tape to stabilise the shoulder seams. The construction is pretty straightforward with the heart being the most difficult part to assemble. 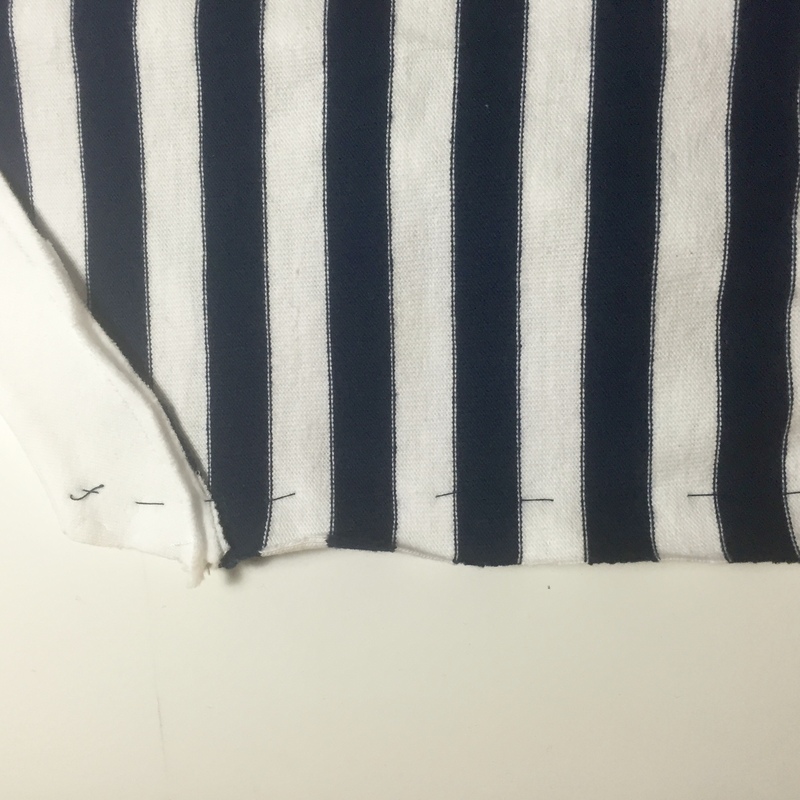 The stripe matching added a slight extra layer of challenge. Hand basting the rest of the back seam to keep everything lined up helped a lot. 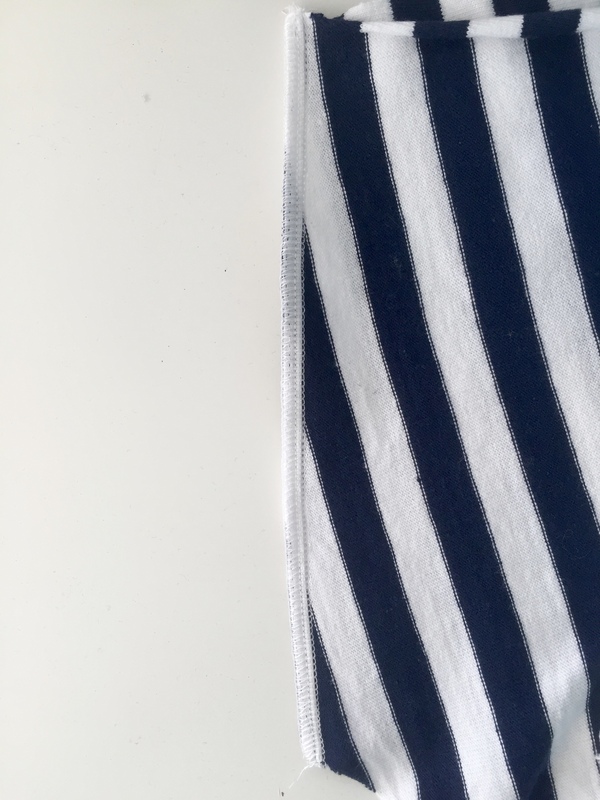 I narrowed the collar piece slightly before sewing it on as a neckband topstitched from the outside for a nice clean finish. 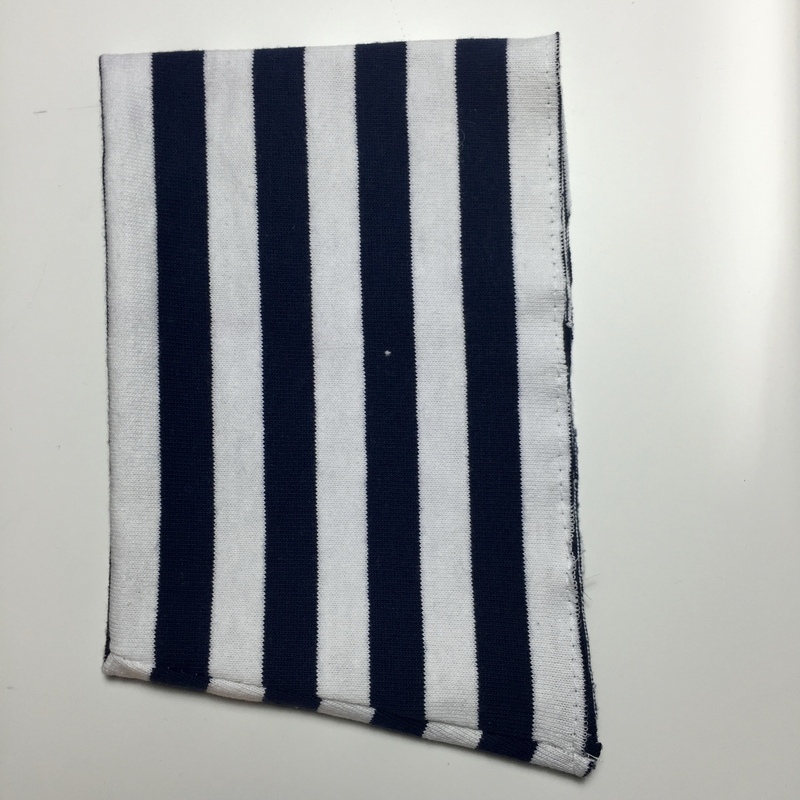 Once I’d added the extra length to the sleeve pieces I debated about having elbow length sleeves or folding them into cuffs. After basting one of each onto the tee I went for the shorter option but decided to shape them in slightly so they narrowed to better fit my arm. 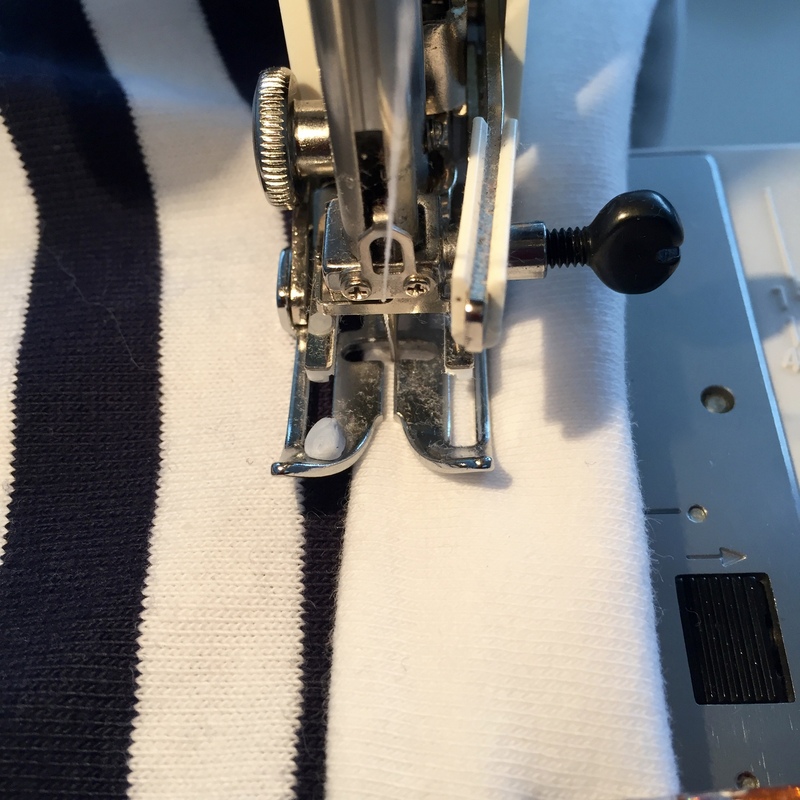 This meant taking a triangular wedge out of the sleeve cuff piece so that when it was stitched and turned it would sit flat. 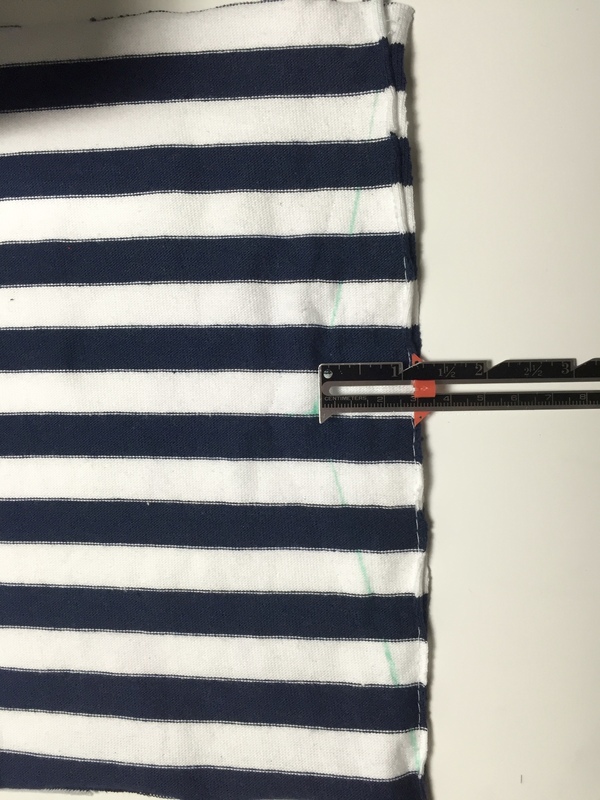 I removed a 1″ wedge in the end, stitched and trimmed it. This gave a nice shape to the finished cuff. 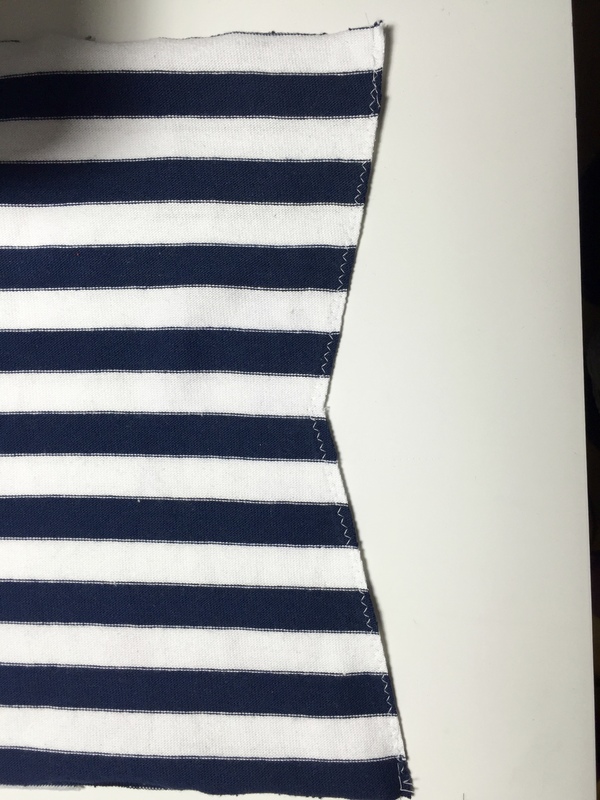 Overall result- a comfortable, easy to wear top with a surprise in the back. 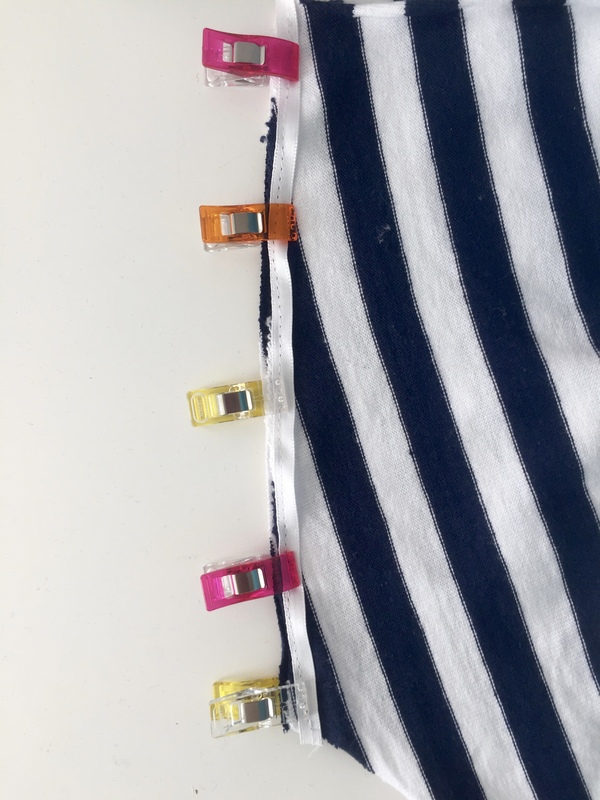 I like that I can layer different colours of tops and vests under it. 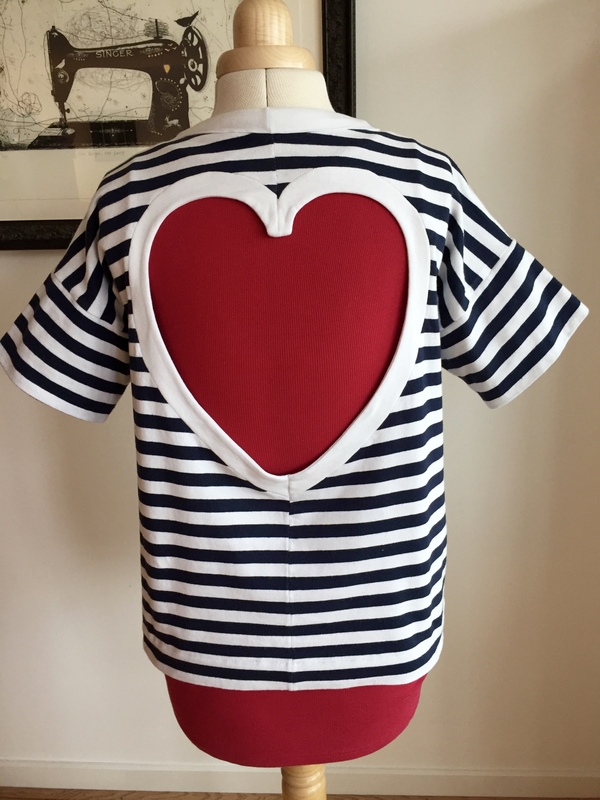 It would also work really well as a basic tee without the heart in the back.